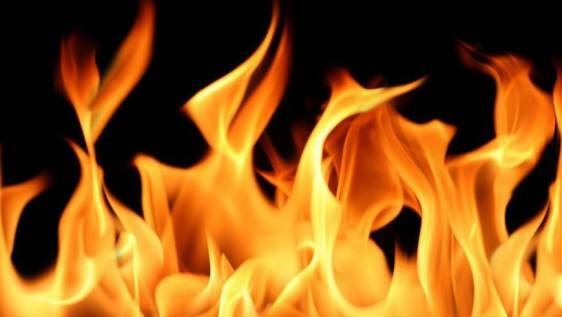 Eight people have been burnt to death as a devastating fire broke out at a plastic factory located in Nasim Plaza near the Soni Cinema Hall in the capital’s Mirpur. Three bodies were taken to the Burn and Plastic Surgery Unit of Dhaka Medical College Hospital (DMCH) on Saturday afternoon. Of them, two are women and one is man. The rest five bodies were taken to Mirpur police station, said Major Sakil, fire service operation officer. However, the identities of the deceased could not be known immediately. Two security members of the market were also admitted to the hospital with severe burn injuries, said Mazabur Rahman, a security member of the market who took them to the hospital. The injured are Kamal Hossain, 35, and Touhidul Islam, 50. They are the members of Reza Security Company, he said. The fire broke out at the plastic factory Bangladesh Epco Limited at 5:25pm on Saturday, said the security guard. The fire originated from the transformer blast located on ground floor of the factory, he said, adding the factory produces one time use plastic items. Some 62 workers work in the factory in two shifts, consisting 31 workers in each shift. On Saturday, there were some 50-60 people including officials were inside the factory. Of them, there were 12-13 women and the rest of them were men. According to fire service control room, 15 units are working on to control the fire till updating of this report at 7:35pm.